Tutor Led life drawing classes. A relaxed and friendly class for all abilities to develop and learn new techniques to draw the figure. All materials are included in the cost of the session. 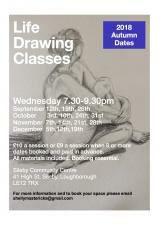 Tutor-Led life drawing classes. A relaxed and friendly class for all abilities to develop and learn new techniques to draw the figure. to improve their business going forward. 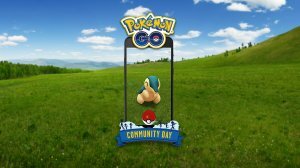 From 10am to 1pm on 10th November, Pokémon GO players will be hunting for shiny Cyndaquil. It's likely you will see people wandering around with their trying to encounter a rarer Pokémon. We may try to organise a walk around the village for the last part of this! For more information, check out the group! 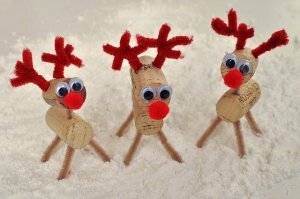 Spend time creating decorations and small gifts from a variety of crafts including, cork reindeer and angels, seed bombs, gift boxes, record clocks and more. Buy tokens on the day to swap for different crafts. All crafts cost between 2 and 4 tokens. A great family event.Book online now for a discount and to guarantee a place! Charnwood Borough Council has organised a programme of events to take place in Loughborough on November 11, 2018 to mark 100 years since the end of World War One. 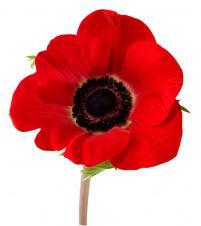 Charnwood 14-18 will see people come together to remember those who gave their lives in the Great War. Other events are also taking place across the borough. In this leaflet, you will find information about what is happening in Loughborough on November 11. Information is also on the Council website www.charnwood.gov.uk/WW1. You can also keep up to date with the events on social media and join in the conversation by telling us if you are attending or holding an event of your own. Simply follow us on Twitter @CharnwoodBC and look for the hashtag #Charnwood1418. You can also find us on Facebook. Please find details of the rural skills courses being run by Leicestershire County Council in partnership with The Conservation Volunteers, TCV. The remaining courses are hedgelaying for beginners and intermediate level for those with some previous experience of hedge laying. If anyone is wishing to book on to the beginners hedgelaying course or the intermediate hedge laying course they can click on the link below and pay on line. 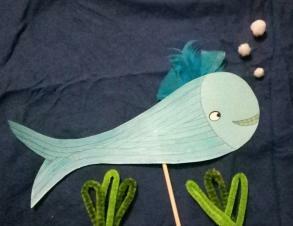 Come and be creative, make your own sea life creature with colourful card, fun felt tips and decorations. Then take your creature on an underwater adventure with me and my sea life pals to a world full of imagination where your mind can go wild. East Midlands Community-Led Housing (EMCLH) is an independent not-for-profit organisation established in 2012 to promote and support community-led housing opportunities across the East Midlands. A series of Briefings are being organised across the region in November 2018 that will focus on current opportunities for community-led housing initiatives, including on finance available from the Community Housing Fund. It is anticipated that the sessions will be of interest to officers and elected members in public sector bodies, Parish Councils, housing associations, housing developers, local communities, Neighbourhood Plan groups, self-builders and organisations with other local connections. Please find attached information on the venues and dates on which these meetings are being held. Particular dates that may be of interest are the session in Narborough on 19th November, the one in Loughborough on 20th November and the one in Nottingham on 23rd November. We hope these meetings could be of interest to you and your colleagues, and we would welcome the chance to meet you on any of the dates arranged. Indoor showing of the classic 1938 Hitchcock film. 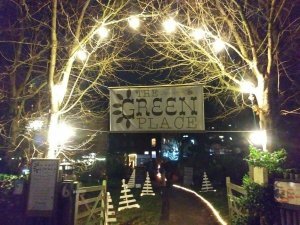 The Green Place will be serving food from 5.30pm - 7pm. The film will start at 7.30pm. On a train headed for England a group of travellers is delayed by an avalanche. Holed up in a hotel in a fictional European country, young Iris (Margaret Lockwood) befriends elderly Miss Froy (Dame May Whitty). When the train resumes, Iris suffers a bout of unconsciousness and wakes to find the old woman has disappeared. 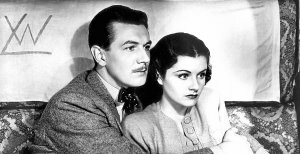 The other passengers ominously deny Miss Froy ever existed, so Iris begins to investigate with another traveller (Michael Redgrave) and, as the pair sleuth, romantic sparks fly. We are serving "Fish & Chips" as an option with this film. Choose from vegetarian (halloumi, chips & mushy peas) or vegan (vegan cheese, chips & mushy peas). Price is £7.50. You will be able to choose when booking. 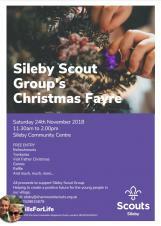 Come and support scouting in Sileby on the 24th November, 11.30am to 2pm at Sileby Community Centre. 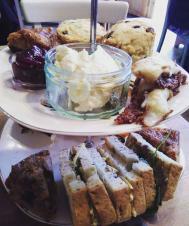 Afternoon tea at The Green Place, prebook either a vegetarian or vegan or a gluten free and vegan afternoon tea, with a selection of homemade sandwiches, cakes and scones and your choice of tea or coffee. Bookings available for 2pm or 3pm. Click HERE. Sileby WI has been set up with the aim of bringing women together for fun, social activities and to learn new skills. All ladies are welcome to come along and find out what we're all about. You can visit as a guest for a small charge or join by paying membership fees for the rest of the year. This month Hannah's Sugar Craft will join us for a chocolate making talk and demonstration. Join us before and after the Sileby Lights switch-on for a festive treat for all the family with marshmallow toasting, mulled wine, stollen, fire pits and of course a chance to visit Father Christmas in the twinkling yurt. Hot dogs and burgers available. 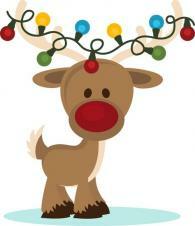 This year we are operating a booking system to see Father Christmas in order to minimise the time spent queueing. You can book for a 20 minute time slot where you will be invited in to the festively decorated yurt to see Father Christmas as part of a small group of up to 10 children. He will call out your child's name when it is his/her turn to meet him. Up to 2 adults can accompany your child(ren) free of charge. Extra adults will be admitted for £2, space permitting. The cost per child is £5 which includes 20 minutes in the yurt, a chat with Father Christmas and a gift. Siblings aged 2 or under who don't want to meet Father Christmas can accompany you as long as they sit on your lap due to space limitations. Pushchairs/buggies/prams must be left outside. Book now to ensure your time slot and reduce waiting times. You can of course turn up without booking and pay on the night, but you will then need to wait until there is a space, or at the end of the bookable time slots (about 8pm) and join the queue, but we cannot guarantee a visit if there are large numbers. CHRISTMAS LIGHTS – The annual Switch On will take place on Friday, 30th November commencing at 5.30pm and the lights switched on at 6.30 pm. The local primary schools will be singing Christmas carols and there will be the usual 'Winter Wonderland' stalls in the Community Centre. We do hope you can come along and join in the fun. HTML5 validated. WCAG compliant. Page generated in 0.1217 seconds.